Simple DC-Circuit improves TWT lifetime. Switchers; DC-converter inrush current is matched to transistor second breakdown. 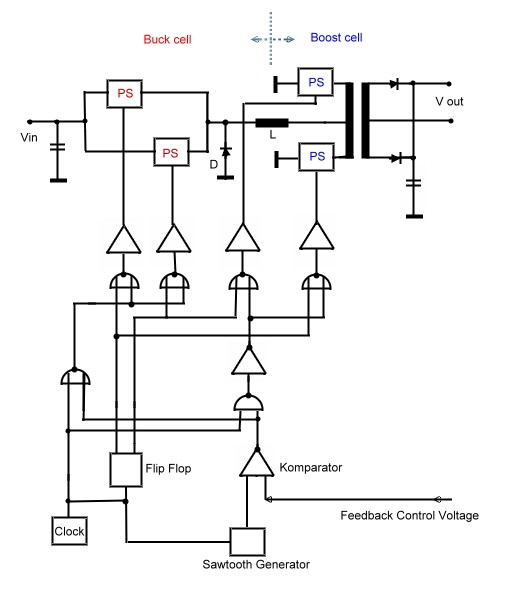 The closed loop stability of switching regulators is not easy to get. Especially if the stability requirement of the output voltage is below 1%. One can overcome this problem by using an open loop, witch controls then the most of the output voltage deviations. This then allows to reduce the feedback gain at a value below ringing of the loop. Figure 1 shows the circuit of a typical switcher with a closed- loop-amplifier F including stability networks, current feedback and circuits. 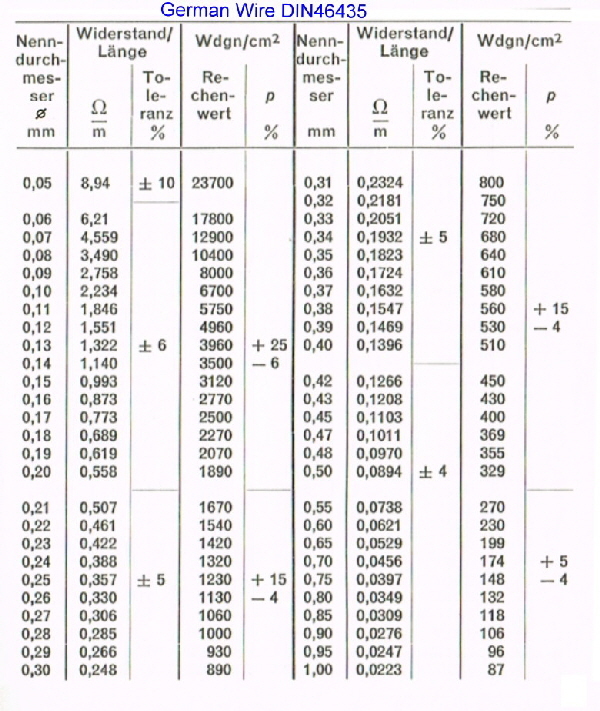 The pulswith is produced by means of a saw tooth voltage having an amplitude of Vz. 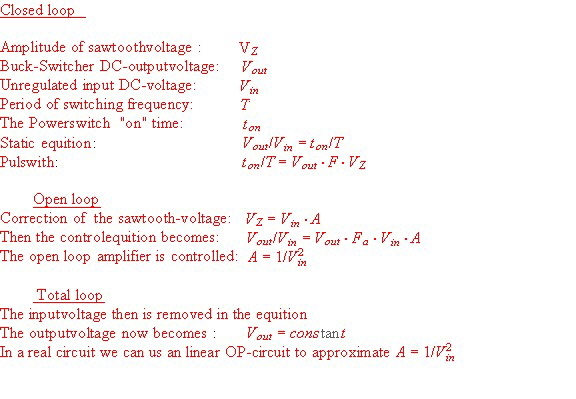 The amplitude of this saw tooth voltage now is controlled from the input voltage via a correction amplifier A. The result is a constant output voltage, even without a closed loop. 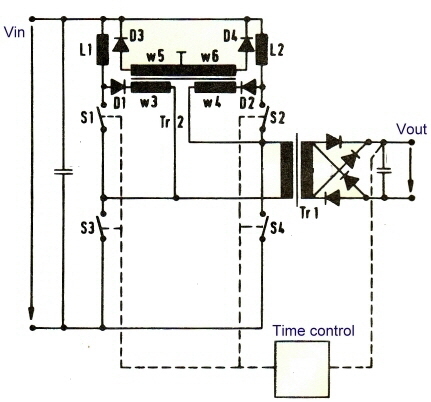 The closed loop gain can be reduced and stability problems are minimized. Ripple-regulator reduces bus ripple without electrolytes. Electrolytes are the big reliability problem in power conditioners. If the frequency of the produced ripple is high enough to be filtered with plastic-capacitors, the problem is solved. But in some cases, this capacitors are to big and/or not useful at higher temperatures. A ripple regulator may be solve this problem. The ripple regulator is a voltage regulator working only from the AC on the output bus. The feedback must therefore be fast enough to regulate the ripple to minimum. 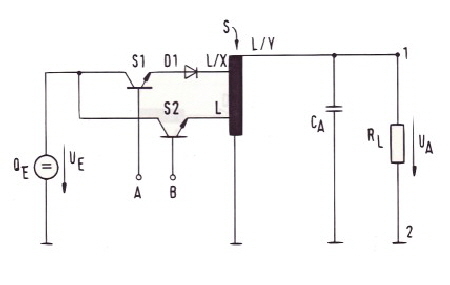 A switching or big analogue-transistor is not necessary to run a ripple regulator. A little transformer driven by a small transistor, will do the job. If the inrush current of the to the output is controlled, a very small transistor can be used too. C1 and C2 are SMD-high frequency de-spiking capacitors. The loop of the feedback must be fast enough to regulate the ripple frequency. A feedback network has to be used to ensure stability. Fig. 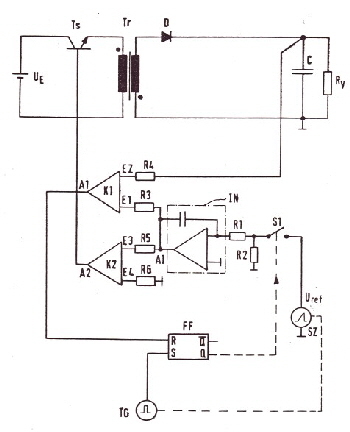 1 shows a tested circuit for a 3A/12V-switcher having an output-ripple of 20 kHz. The ripple was reduced by a factor of 500 using a E16 high my-core.The same circuit can reduce 50 Hz ripple from simple power-supply’s without big ripple-capacitors .The ripple transformer then becomes relatively large, but can encounter very high temperatures. A new generation of power supply switchers is presented. This switchers are based on the electronic programming of several pulses to switch power switches on and off. The function of the programming is mathematically correlated to requirements of a power-cell. The basic function is explained in Fig.1 showing the difference between regular power switches as buck, buck boost , boost or enable .The regular switcher has on and off time where the mathematical relation between both is simple only the difference between both ,whereas the sum of both times is the switcher period. The FSA switcher has tree switches and tree switching times. The sum of the three times is the switcher period . The three times are somehow programmed mathematically by an equation or by means of an electronic device. 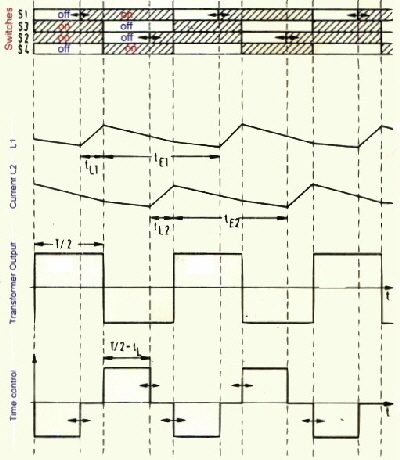 If we want watch the dynamic behaviour, we decrease the control pulse t1 very hard with a negative time jump .The result is a time jump on each of the three switcher times .Fig.6 shows the result at Io. As the time period T is constant, we get a current increase delta I. Fig.7 This increase in current versus time , shows the actual switcher speed. 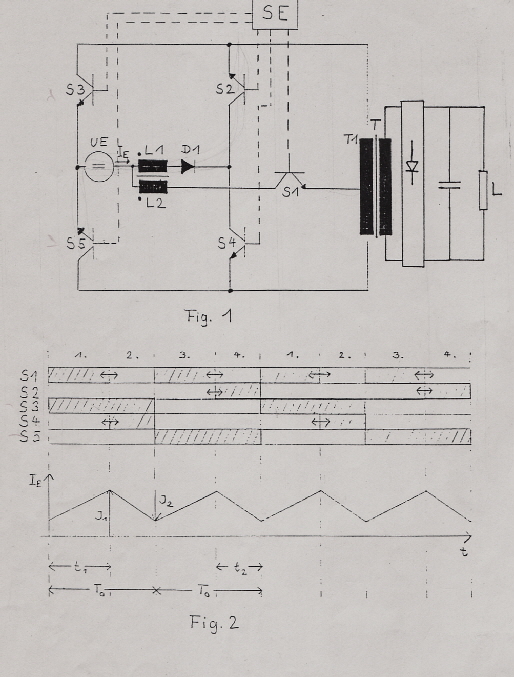 Now we compare this current increase to an virtual single analogue coil Fig.8 and can compute the analogue voltage regulator transmission F(s) of the power cell ,Fig.9 , to optimize the regulator loop. This result shows , that the new power cell is very fast reacting to distortions, that means, that the closed loop will counteract very fast too load jumps as it my happen in a communication system using switched power amplifier channels .Under this conditions, a slow switcher regulator my produce dangerous voltage overshoots. 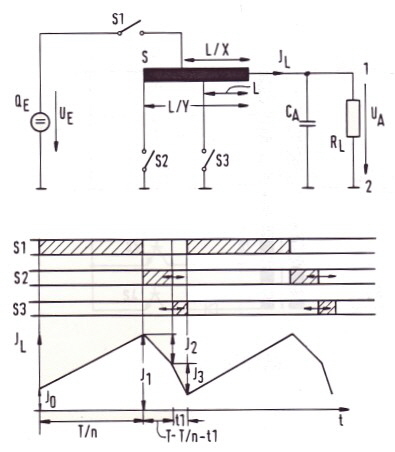 By means of the inductance Lo , we can certain the analogue regulator control circuit of Fig.9 which is a normal low pass as usual . Vin here is the input feedback voltage to compute F(s), not the DC input. If the primary coil of a conventional buck boost switcher is tapped, we get the circuit of Fig: 9.
n >1 ; T/n = end of charching time. Lanalog is constant and depents not on voltages. Lanalog << = Lanalogcom . This means, the new circuit is faster than the common circuit! Then we get: Ua = const. The input voltage variation is eliminated by means of forward regulation. In the similar manner, the shown circuits may be modified to a push pull converter. Wide regulation switchers, have the problem of low efficiency at the end of the input voltage range.This decrease can be up to 10 % of the maximum efficiency. The combination of different power cells can overcome this problem. If for instance a boost cell runs at the lower values of the input voltage range, and the buck mode runs at the lower input voltage, one can get an efficiency as Fig.1 shows. But combining two different cell types may be a problem. I propose to combine the cells by means of the electronic control circuitry. If we divide the saw tooth voltage of the puls modulating circuit in two parts , switching the clock frequency between buck and boost mode, the power mode will automatically change at the midst of the input voltage range.The circuit is shown at Fig.2. We see the 2 buck switches directly connected to the voltage input. The boost switches are connected to the output transformer. The coil L is used in both modes. D is the free-wheel diode necessary in the buck mode.The two boost transistors act as push pull switches for the transformer. In the boost mode, the switches are both in the on condition, what cancels the transformer off. The buck switches are saturated and the coil L is charged with the input voltage.The clock is divided using a toggle flip flop to drive the different cells via NOR logic devices. 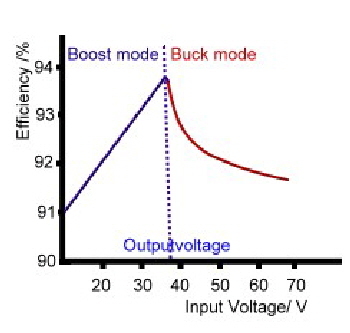 Fig.1 Efficiency of Buck and Boost combined cells. Fig.2 Logical circuit, combining buck and boost cells. Normally, a regulated DC Converter is controlled changing the duty cycle between inductor charging and discharging mode. During the charging mode of the coil, the energy on the output is derived from an energy storage capacitor.This usual way of regulating, leads to a certain amount of ripple on the output voltage. In low output voltage converters, this ripple can be easily reduced . But if the output voltage is in the kV-range, the ripple filters are voluminous and unreliable. 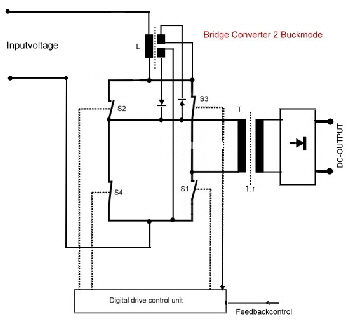 A bridge converter power cell, can be modified to work as pumping converter controlled from a duty cycle change, whereas the output duty cycle is constant. Excessive energy in a charging inductor is pumped back to the input voltage source. In using this circuit, the ripples on the output are reduced to very small spikes even during primary duty cycle variations. An other advantage is the increase of the feedback control speed, because no ripple must be filtered out in the loop circuitry. We have the output transformer Tr1, the switches S1, S2, S3, S4, and the energy back transformer Tr2 and two pumping coils L1 and L2. The switches S3 and S4 are periodically switched with a duty cycle of 1:1, whereas the switches S1 and S2 get time variation control pulses. Fig.2. They switch the load via the transformer Tr.1 during charging and de-charging of the coils, that means energy is transferred to the output at the time where energy is pumped from and back of the source Vin. . Combine push pull and bridge converter as pulswith regulator. As the regulated pumping bridge converter of the above circuit needs a lot of components , I try to simplify this bridge converter into a combination of bridge and push pull converter. The output transformer will have two more windings having less turns then the main primary winding. If we change the power switches between the different primary windings, we get a buck boost converter with tree different charging times of a energy storage coil L. The result is the same as above, constant duty cycle for the output voltage. 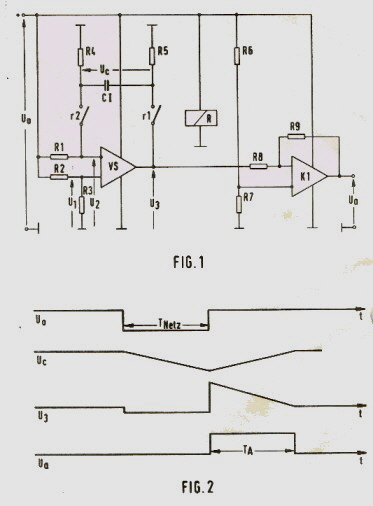 Fig.1 shows the circuit. The switch timing is somewhat different from Fig.2. If I will find the time, the timing of the switches will be calculated and the time to voltage control formula from the balanced currents in the coil L shown. 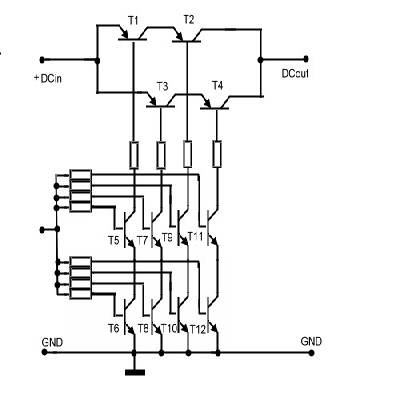 Classical Bridge DC to DC Converters are not regulated. 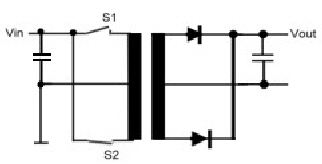 But due of their four switches, they are excellent configurations to be pulswith regulated in many configurations. Sure an energy inductance is necessary, where the energy is stored stored , transformed and somehow brought back into the current cycles. Either back to the battery or to the output. If it pumped to the output there are two possibilities, either the coil energy is added as parallel current (buck-mode) or added as series voltage (boost-mode). Here are three pulswith controlled Bridge Converter Circuits which work in the buck mode. 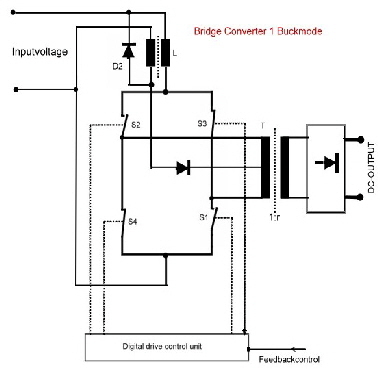 Fig.1 shows a controlled bridge converter with center tapped output transformer, where the buck current flows from the energie storage coil L via D2. D2 only is a de-spiking diode. The output voltage equation is the same as in a conventional buck free-wheel converter: Uout / Uin = (ton / T) r ; Fig.2 shows the switching diagram. It is obvious, that the transformer is periodically switched to the input voltage via S1 / S2 and S3/S4. During this time, L is loaded. The discharging of the Coil then comes in the push pull mode versus S1 and S3. In an other circuit, the complexity of transformer and coil is reduced, using the primary winding of the transformer T for energy injection by means of better circuitry. 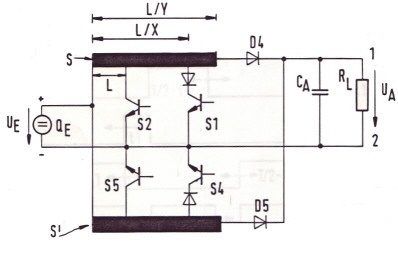 Fig5 In this circuit, the same digital drive as in Fig.2 is valid. S1 and S4 are used, to switch the discharge energie of the coil into the the output transformer. 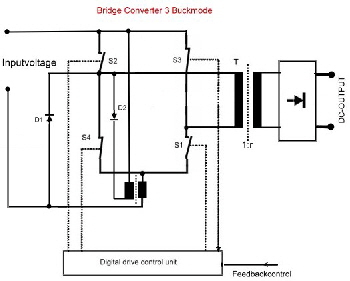 Fig.3 Buck regulated Bridge converter 2 Fig.5 Simplified buck regulated bridge converter 3. Zur Versorgung von Mikrowellenröhren mit Hochsannung wird üblicherweise ein DC- Wandler verwendet.Iin dessen Transformator wird die Versorgungspannung der Röhre auf die notwendige Höhe transformiert. Für kleine Geräte mit Miniaturtranformatoren wird dies bei Spannungen über 3kV wegen der notwendigen Isolation schwierig. Wenn der Wandler zusätzlich im Boostmode arbeitet ,kann der Ausgangstransformator wesentlich kleiner werden; da die Primärspannung grösser ist. In Fig. 1 ist ein Brücken-Wandler der als Boostegler arbeitet, .und dessen Ansteuerung gezeigt, Fig.2 zeigt den notwendigen Steuertakt. Während der Brückenwandler mit S3 -S5 normal im Gegentakt arbeitet, arbeitet S1 in jedem Brückentakt als pulsbreiten geregelter Boostschalter. To supply microwave tubes with their working voltages, a high-voltage DC converter is used. 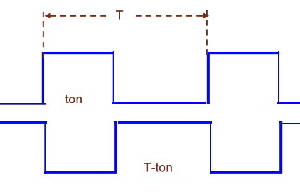 It is common to transform the supply voltage of the tube in the converter’s transformator to the necessary height. For small devices with miniature transformers, this is difficult at voltages above 3 kV because of the necessary insulation .When the converter is operating in boost mode, the output transformer can be much smaller. In Fig. 1, a converter bridge converter and its control is shown, which works as a boost regulator. 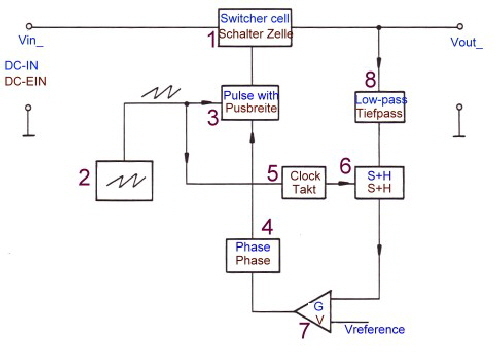 Fig.2 shows the necessary control clock sequence. While bridge converter with S3-S5 is normal working in push-pull mode, works S1 in each bridge Phase as pulse width controlled boost switch. As it is well known, a sample and hold takes signal probes and keeps the amplitude of this probe constant until the next sample peak. Fig.1 To use this circuit in a feedback of a power supply, one has to know the amount of negative phase the sample and hold will produce in a loop. As the S+H is periodically switched, periodically Phase jumps of 180 degree appear at the multiple of the sample frequency. Fig.2 Whereas the Gain has a slope of -20 dB / Dec. Sample and Hold improves Switcher Loop. Feedback loops in general , in power supplies or some other analogue regulation loops, must be cleaned from ripples, fast distortions and short time disturbances. This is not really part of the necessary system loop, but an important part for the electronic loop circuits . Normally little low passes or integrator circuits are used to cut the ripples off. But this circuits will produce negative phases up to 90 degree in a loop and deteriorate loop quality. To avoid this negative phase, a sample and hold can be used instead. Sure the sample and hold produces negative phase too, but the total loop phase will shown an improved loop condition. Regulation using Sample and Hold in the Feedback and digital software is called DDC (Direct Digital Control), but in this application, the sample and hold is used in the analogue feedback part of a switcher power supply loop. If the sampling frequency is chosen to be 10 times the power supply ripple frequency, the negative phase in the loop due of S+H may be only -10 degree. 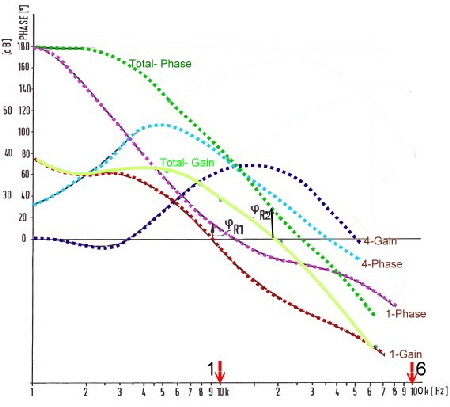 The saving of Phase due of the S+H, can improve the stability of the regulator and its reaction speed.. 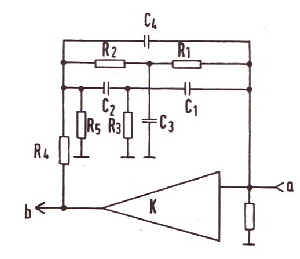 Example: A switching regulator output has 500 mV ripple. After dividing it with a resistor loop divider, the ripple is 250mV. 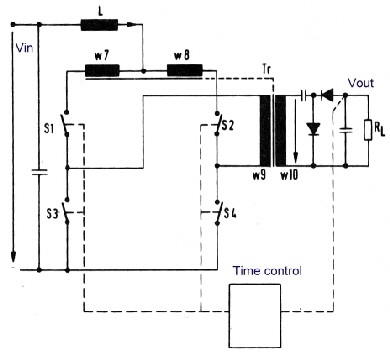 The circuit sensitivity of the regulator is limited due of gain and latching effects, to 20 mV. Necessary damping of the ripple d = 20dB. A 20 dB first Order low pass is useful to damp this ripple. 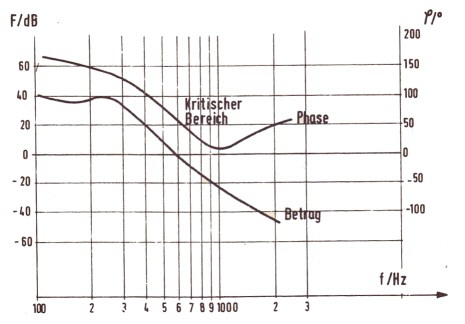 The green lines of Fig.1 shows the gain and the phase of this low pass. The additional negative phase for the loop is 10 to 40 degree. (green) Using a sample and hold instead of a low pass, the ripple becomes almost zero and the negative phase will be only 0 to 10 degree due of sample and hold (Red). This makes it possible, to make the regulator 5 times faster if using a sample and hold in the loop. Fig.2 shows the block diagram of a switching regulator having a simple and hold in the loop. The numbers of blocks are. Without 5 and 6 the circuitry is the same as a normal switcher circuit. The sample and Hold is synchronized from the Power switches frequencys sawtooth. 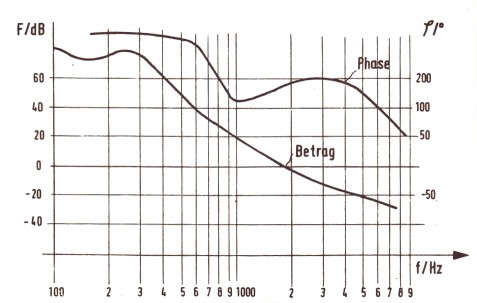 Fig.3 shows Gain and Phases of the single devices and the total loop. The S+H frequency is 10 times the clock frequency to prevent spikes. At least, is the loop very faster as a normal switcher loop and has a better stability. 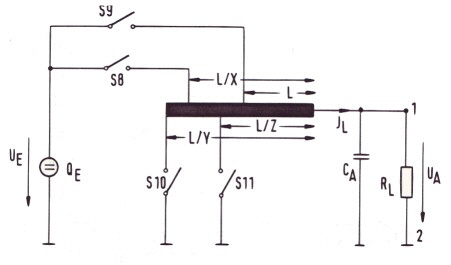 We have seen above, that the low pass in the loop which eliminates the ripple from the output-voltage makes the stability problem in switcher regulators due of producing up to 90 degree of negative phase. Above we used a standard sample and hold circuit to overcome this problem. An other way is, to sample the output voltage and build a pulswith-modulator controlled from this output voltage. Fig.4 shows the circuit of a buck boost regulator. 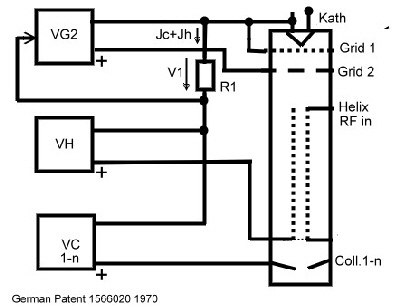 In this circuit the comparison sawtooth voltage is sampled and renewed by means of an integrator and two comparators establishing the Power transistor to control the Power transistor. the switcher loop can be optmized with a lot of filter- parameters. 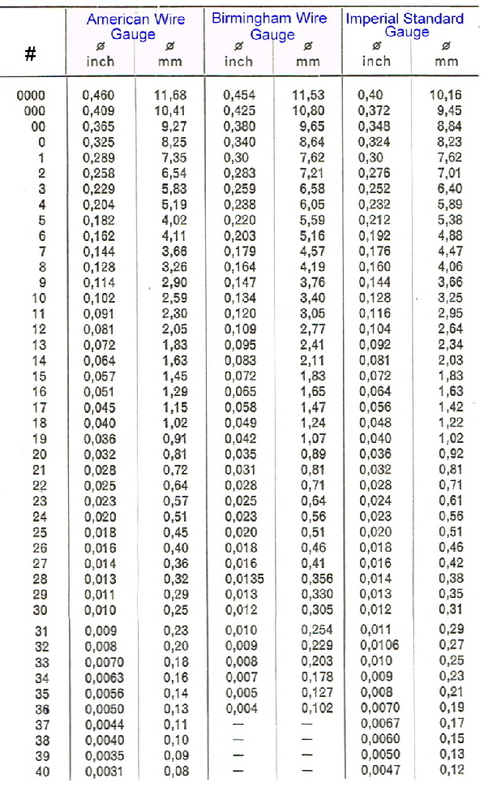 An example is Fig.5 : Filter Data. Power supply's sometimes need logic circuits. Of course at low voltage supply’s, we use the customary IC’s. But for high Voltage supply’s sometimes is it more reliable to use simple RTL logic and make their circuit a direct part of the Power supply circuit. Here are a few classic RTL circuits to improve the reliability of Power supply’s for traffic or space applications. The TWT (Traveling Wave Tube) is the last tube of the electronic tubes family are still in use. It is required to build high power GHz transmitters with low distortion. But their draw back is the decrease in power output over the life due to a reduced electron beam. Using a resistor and a feedback circuit we can compensate the decrease of RF- Power. Fig. 1 shows a diagram of a simplified TWT and its P ower Conditioning. The grid 1 voltage sets the operating point of the TWT and its output power. If the cathode emission decreases during live-time, the collector current IC(1-n) will become smaller. Now, this current is measured by a resistor and fed back as a voltage to the power supply grid 1. The Grid 1 Voltage then becomes a function of tube lifetime, ad electron emission is regulated. 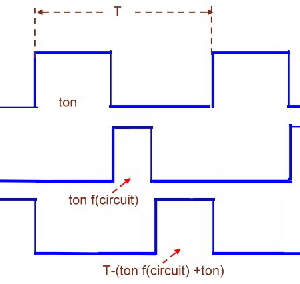 Fig.1 TWTA Circuit using Grid feedback. TWTA preheating time is made proportional to power interrupting time. 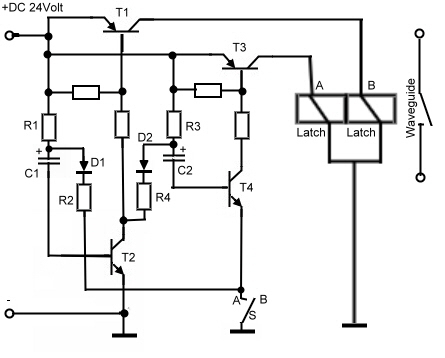 Simple Circuit can measure main power interrupting failure without an auxiliary battery. If the time constants of C1 and the comparator K1 level is used properly, the output of K1 can directly switch on the preheating process of the TWTA. Single transistor DC-power electronic switches my fail, and stop the car, the train or their control circuitry during traffic control. This may lead to terrible events. To prevent such live important failures, the single transistor switch may be replaced by an quad switch, designed for space applications. Quad means, we use two power transistors in series and the same arrangement as an paralleled path. So we have four useful transistors. See Fig.1. This design is redundant for short and open failure. To drive the bases of the power switches, we use transistor series circuits too. Now wee see, at least two transistors must fail to get malfunction .The control voltage must be able, to supply 7 transistors bases even in case of base breakdown. 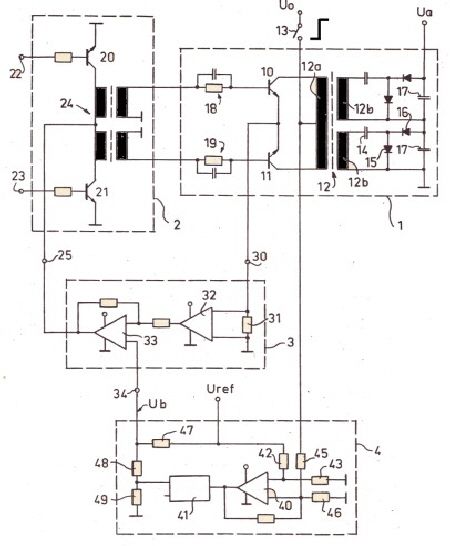 As I have designed this switch in the seventies npn transistors have been used, but as this is only an example of redundant circuitry, modern MOS devices may be used instead, but high reliability only comes from discrete components. Latching Relays come out in different sizes, they have two switching magnets, which changes status by means of two coils. Two change the status a short time drive current must be flow through one of the status coils. In case of a system voltage loss, latching relays keep its position, without any power. There fore, they are a good solution to replace storage elements in electronic equipments to prevent standby power. Small latching relays can be driven directly from an triggered mono stable Integrated Circuit. In case of a bigger Relay, driver transistors are necessary. To prevent a separate power supply in 12/24/48 Volt circuits, to feed the Integrated circuits, the latching relays driver transistor can be used to produce a switching impulse. 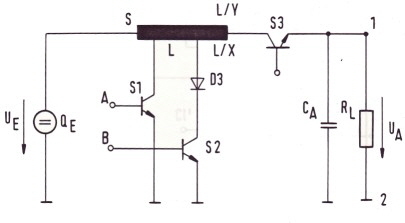 Fig 1 shows a driver circuit used to switch a 24 Volt Wave-guide latching switch. This driver is very robust and may be used in traffic electronics too. It had been used manifold in high power TWTA’s. To change the Relays status from A to B, the switch S is set to B. The de-charging path R2 of C1 then is opened and C1 is recharged via the Base of T2. Due of this, the relay goes to B and the shorted T2 de-charges C2 and opens T4, blocking T3 and A. In case S is on A, the function is vice versa. 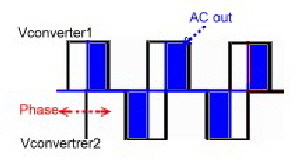 To prevent malfunction at higher temperatures, the leakage current of C1/C2 must be kept low. The circuit of the classical push pull converter using two switches and a transformer is almost 60 Years old and still used today. 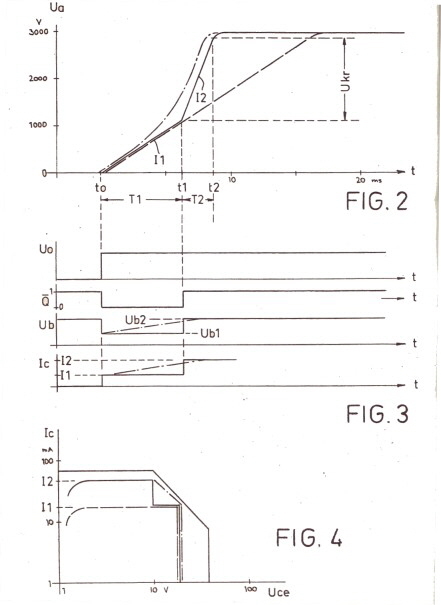 Fig1. remembers the function: Two Power switches S1 and S2 have the push pull modes on and off and drive a transformer with a rectangle power . A simple coil improves it to a normal boost regulator if we overlap the two switches for a variable short time. during this time, where both switches are on the transformer is canceled, and an inductance is loaded on the input voltage. Its energy is added to the output during the push pull mode. Due of its simplicity and its very high efficiency of almost 100 % , the original boost switcher is very popular. But the closed loop behaviour is not as easy . To realize it in a high gain loop, some circuitry is necessary to get stability. First is to know the analogue transmission behavior of the boost power cell of Fig.1. The control transmission is the path of the pulswith ton / T to the output voltage Vout. As the feedback control loop is analogue, we must find a analogue model for the power cell feedback transmission. As the equations at Fig.2 shows the control transmission is depending on the working point of the power cell, that means the input voltage value. The given transmission formula can be directly used in an analogue bode consideration as F(s) using Fig.3. What we find here is at least a roll off of -20 dB and a damping factor which is important for stability depending on all components. That means to get the switcher stable, the values of all components must be proper selected. Further it is obvious, that the losses of the charging capacitor produce a positive loop phase. Therefore the capacitor loss stray values, must be carefully watched. DC-Wandler Einschaltstromstoß ist angepasst an die Transistor second breakdown spec.. Die Hochspannung zur Versorgung von Mikrowellenröhren z.B. Wanderfeldröhren wird aus Platz und Gewichtsgründen in Transistor DC-Wandlern erzeugt. Die Schalttransistoren der Wandler sind meist bidirektionale Transistoren. Solch ein Wandler ist in Fig.1 gezeigt. Die Leistungstransistoren sind #10,11. Beim Einschalten der Versorgungsgleichspannung ,durch den Schalter #13, muss der Wandler zwei gegensätzliche Bedingungen *1 und *2 erfüllen. *1 Der Einschaltstrom-stoß des Wandlers darf die Leistungstransistoren nicht schädigen. *1 Der Einschaltstrom-stoß des Wandlers während der Einschaltzeit, darf die Second- Breakdown Grenze der Leistungs-Transistoren nicht überschreiten. *1 Der Einschaltstromstosß in bestimmter Zeit, muss so niedrig sein wie möglich. *2 Nach dem Einschalten, müssen die Ausgangsspannungen des Wandlers in bestimmter kurzer Zeit ihre Sollwerte erreicht haben. *2 Der Einschaltstrom-stoß in bestimmter Zeit, muss so hoch sein wie möglich. Diese zwei Bedingungen, können nur mit einem Kompromiss gelöst werden. Fig.1 zeigt einen Wandler, in dem ein Kompromiss zwischen *1 und *2 realisiert ist. *1 The inrush-current of the converter over the switching on time, must not override the second breakdown specification of the Transistors. *2 The High voltages must come up in a certain short time to prevent defocussing of the tube. *2 The inrush-current must be as high as possible. This opposing requirements can only be solved by means of a compromise. Fig.1 shows a converter which realizes a compromise between requirement *1 and *2. R.Hayner The venable converter, a new approach to power processing, In: IEEE Transaction, Vol. IECI-24, Nr.4 Nov.1977, p266. Silicon General, Zur Verbesserung des dynamischen Verhaltens von Schaltreglern. Wüstenhube, Schaltnetzteile 1979 expert Verlag Grafenau. Watkins Johnson : Design of Power converters for space TWTA’s.